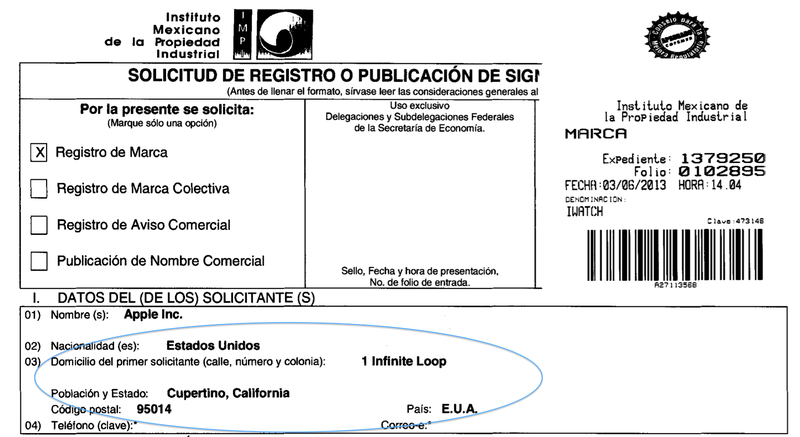 The “iWatch” trademark request in Mexico is tied to Apple’s 1 Infinite Loop address in Cupertino, California, and Apple Inc. is noted as the company behind the filing. According to these documents, the person who submitted the request for Apple is named Maria Teresa Eljure Tellez. This person is the Head of the Trademark department at Mexico-based law firm Arochi, Marroquín, & Linder, S.C. 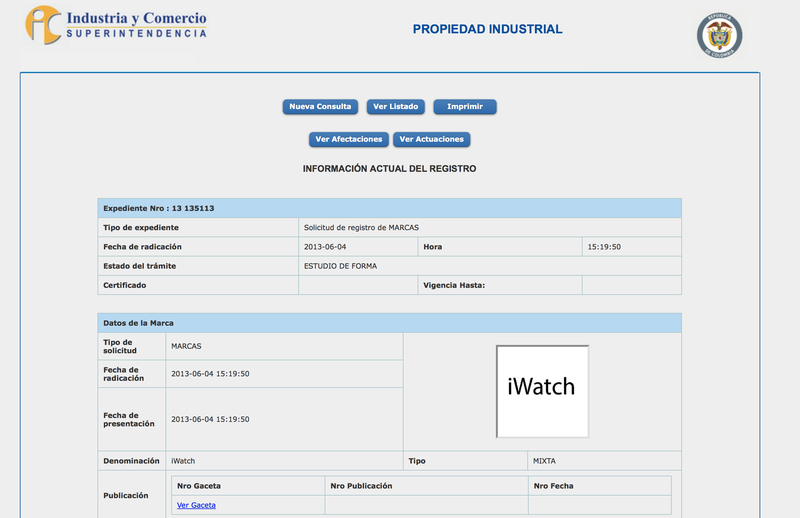 This firm also appears on other Apple trademarks in Mexico such as for the iPad and other recently launched products. The fact that Apple seems to be on a world tour of applying for the “iWatch” name trademark adds even more weight to the possibility of Apple launching a wearable-computing device in the near future. Reports are currently split between Apple launching the device either later this year or later in 2014. The product will likely include sensors to gain data about the user in addition to functionality, such as mapping, messaging, and phone apps, that could interact with iOS Devices such as the iPad or iPhone. Other than the “iWatch” trademark, the rest of the filing, like the ones from Japan and Russia, is fairly vague other than the aforementioned categories of the filing requests. Notably, the three thus-far discovered requests from Apple were filed within the same week of each other. Later this year, Apple will debut new versions of the iPhone and iPad, and it is yet to be seen if the watch-like device is ready to join Apple’s plans for this fall. Update: MacRumors notes that Apple has also trademarked iWatch in Taiwan (and Turkey). Update 3: Chile as well.